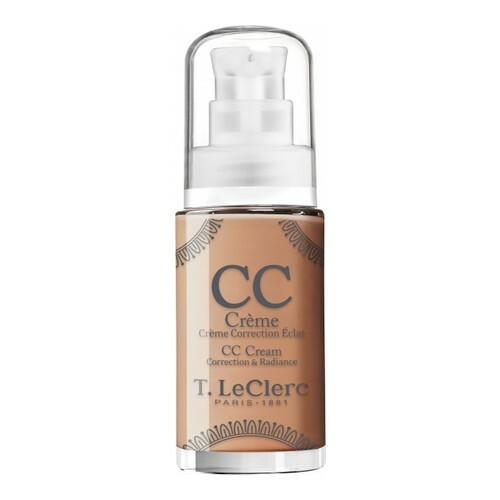 An illuminating complexion tint and primer with anti-aging skin care benefits that allows to correct the complexion in only one gesture. The ideal combination of skin cream and make-up, CC Crème (Corrective Cream) is truly a new-generation complexion enhancer. In a single step, the skin is evened out, moisturised, corrected, and protected. The complexion is transformed, instantly radiant. Its comfortable texture melts upon contact with the skin and the three beige shades are perfectly suited to all skin tones. Aqua (water), dimethicone, titanium dioxide, glycerin, talc, cetyl peg/ppg-10/1 dimethicone, imperata cylindrica root extract, sodium chloride, isododecane, benzy alcohol, triethoxycaprylylsilane, c12-13 alkyl lactate, dimethicone/vinyl dimethicone, crosspolymer, alumina, sodium dehydroacetate, hydrogen dimethicone, squalane, dehydroacetic acid, potassium sorbate, quaternium-18 hectorite, aluminium hydroxide, peg-8, dipotassium glycyrrhizate, propylene carbonate, carbomer, dimethicone/methicone copolymer, coral powder, sodium hyaluronate, xanthan gum, ethylhexylglycerin, cl 77891 (titanium dioxide), cl 77491 (iron oxides), cl 77492 (iron oxides), cl 77499 (iron oxides), cl 77497 (zinc oxide). Apply daily on the whole face, instead of your daily cream and foundation.